Why go to culinary school when you can learn from chefs around the globe? 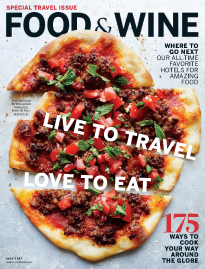 Food & Wine connects you to all your favorite chefs, so they can give you their expert advice, teach you delicious recipes (tons of them) or introduce you to their go-to spots in their hometowns and beyond. Where else can you learn how to perfect pie crust from the legendary Jacques Pépin or find out how to cook a trending recipe from one of our Best New Chefs right at home? Combined, these chefs have centuries of experience, which can hopefully teach you to better appreciate the culinary world around you.